Acre was the only fortified city that stood between the French army and the Ottoman city of Constantinople. 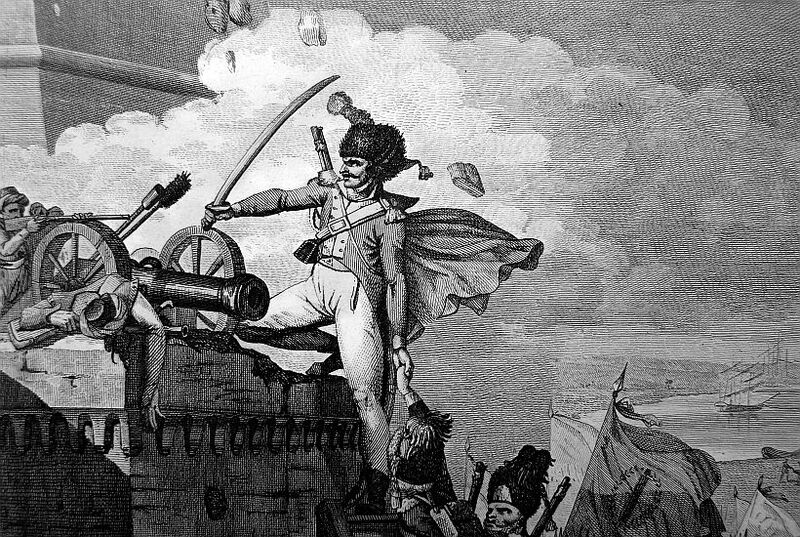 Bonaparte had sent siege guns from Cairo by sea, but they were captured by the British navy. These guns were now positioned in Acre to pound any French assault, and the British also rebuilt the fortifications that were in need of work. Bonaparte reached the fortress of Sainte-Jean-d’Acre on the 17th of March, with the British fleet lurking in the distance. The fort was commanded by Ahmed Djezzar Pasha and it was closed off on three sides by the sea, with only a frontal attack plausible. Lannes and his grenadiers failed to storm the fort on the 28th of March, leaving only the option of a long siege. This option would be extremely difficult because they only had three cannons to soften up the Turks inside the fort, while the army dug trenches. 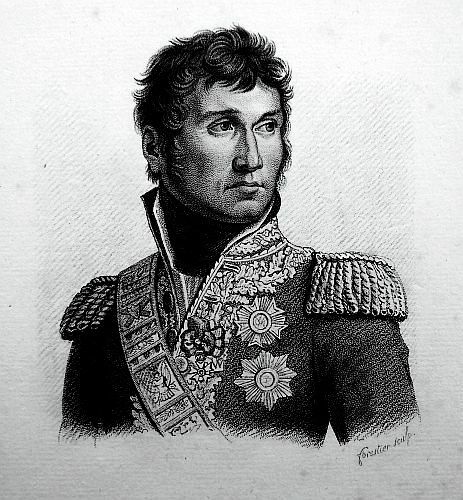 Kleber had been sent to Mount Thabor by Bonaparte before the siege. On the 16th of April, the Ottomans attacked Kleber while he was cut off from the main army. Kleber managed to hold the Turks off even though he was out numbered. Bonaparte came to Kleber’s aid and the battle was won and it would be the only success of the French during the siege. On the 8th of May, Bonaparte sent Lannes and Rambeaud with their divisions through a break in the walled fortress. The two divisions were stopped in their tracks when they came within the inner wall as the Turks rained down lead. They decided to fall back and during the retreat Rambeaud was killed, and Lannes was seriously injured when a shot hit him in the neck. 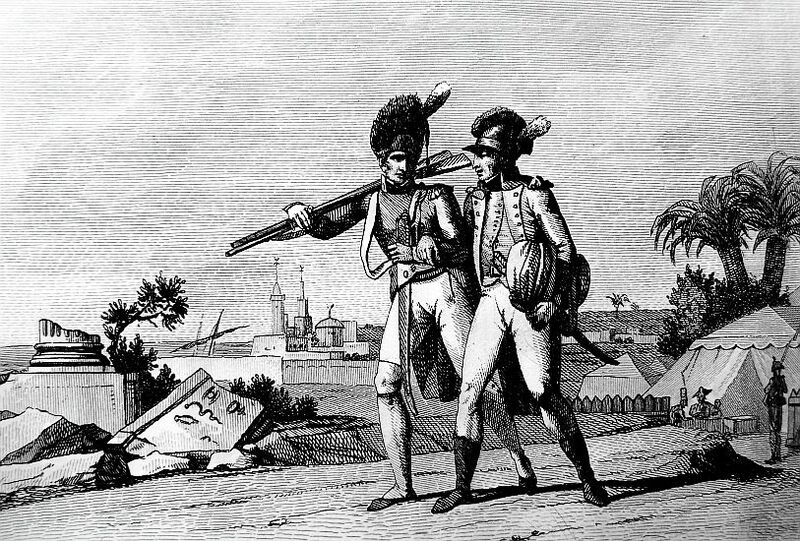 Lannes would have met his maker if a grenadier captain had not dragged him to safety. Around this time he heard the rumors of Polette giving birth to a baby boy. He did not perceive this as good news, but probably became irate while thinking of her infidelity. I can imagine him pacing back and forth trying to count the months on his fingers, and cursing up a storm. 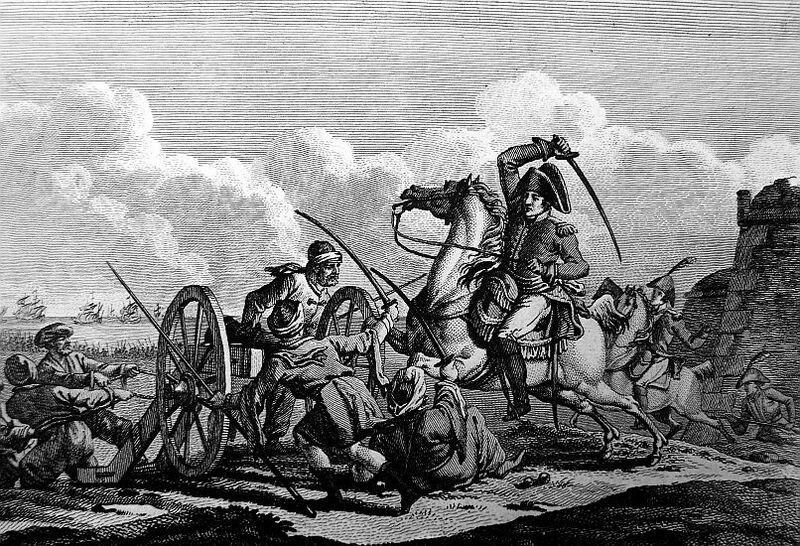 The siege of Acre was a costly battle not only for Bonaparte and his army, but for Lannes as well. He had a severe wound to his neck and sometime earlier during the siege came within inches of losing his life when a bullet hit him in the face, which passed through both of his cheeks. 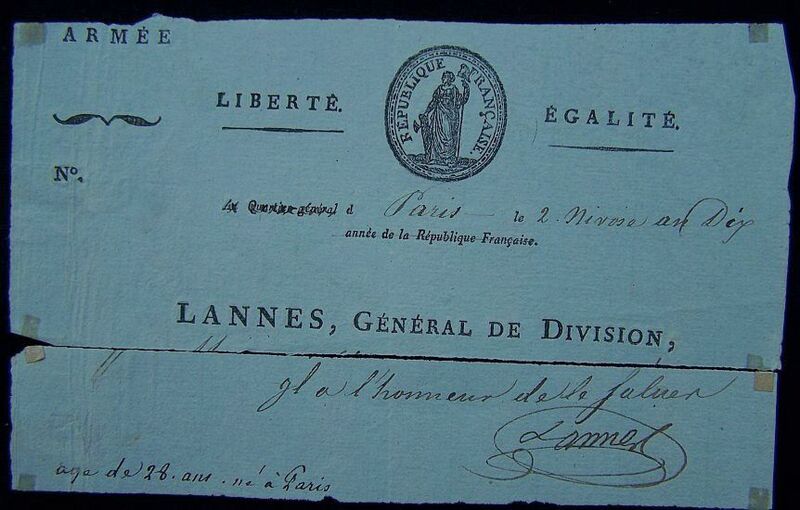 Lannes would not march but return to Cairo in a cart. The army lost one of its best engineers General Caffarelli du Falga, who had been struck in the arm by a ball during the siege. The arm was amputated by Surgeon Larrey but during the march died of fever. 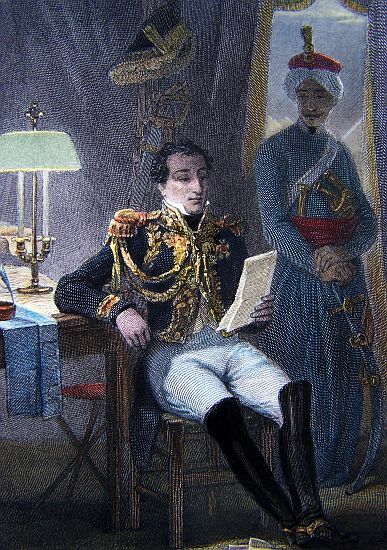 On the 14th of June, Bonaparte entered Cairo and turned the disastrous campaign to his benefit by claiming victory. Even though he had won most of the battles his losses were high, and no one knew this more than his own troops. 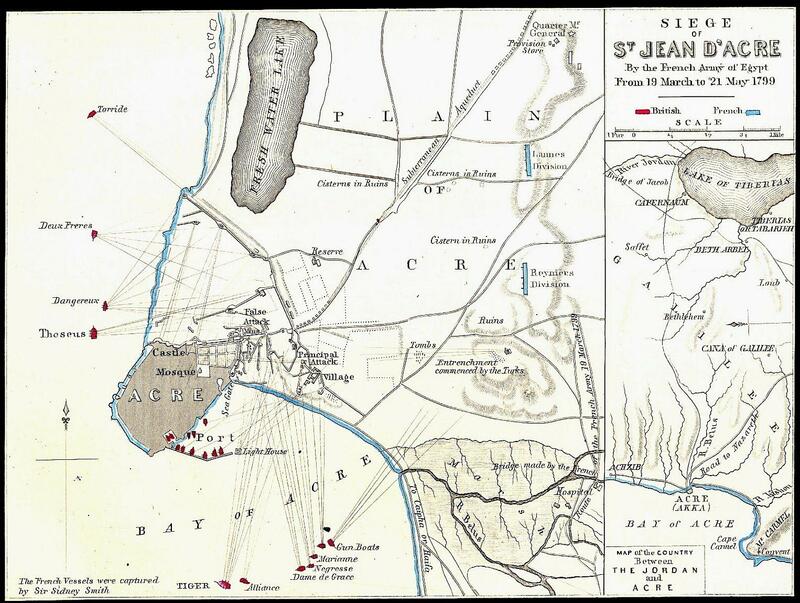 However, Bonaparte would soon be victorious over the Turks who had defended Acre, for they would soon land at Abukir. From The London Gazette, June 22. Extract of a letter from Capt. Sir W.S. SMITH, to Mr. NEPEAN. I beg leave to transmit, the information of my Lords Commissioners of the Admiralty, a copy of my report to the Right Hon. Earl ST. VINCENT, of the late events in this quarter. Tigre, off St. John d’Acre, March 23. 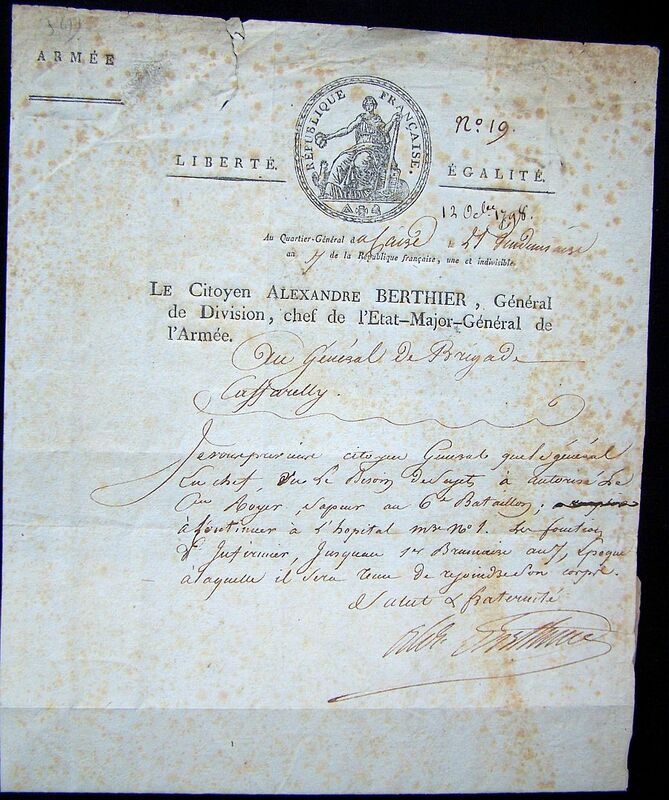 I have the honour to inform you that, in consequence of intelligence from GEZAR PACHA, Governor of Syria, of the incursion of Gen. BUONAPARTE’S army into that province, and his approach to its capital, Acre, I hastened, with a portion of the naval force under my orders to its relief, and had satisfaction to arrive there two days before the enemy made his appearance. 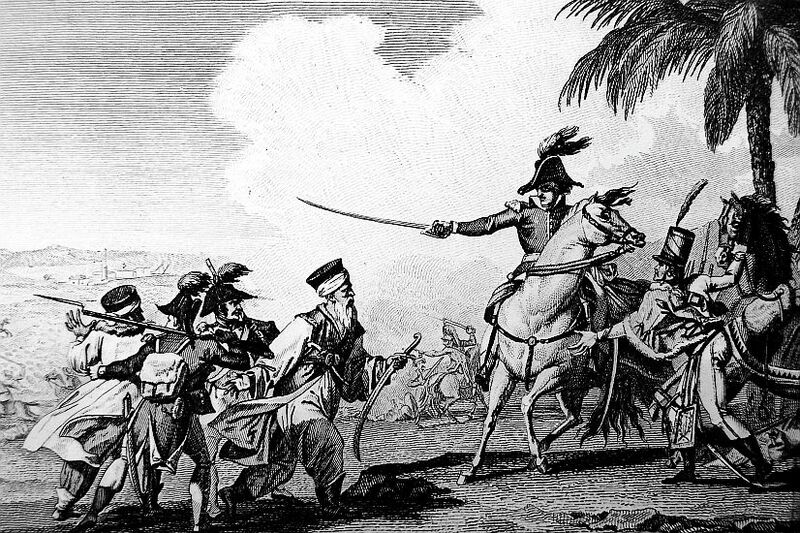 Much was done in this interval, under the direction of Captain MILLER of the Theseus, and Colonel PHELYPEAUX, towards putting the place in a better state of defence, to resist the attack of an European army; and the presence of a British naval force appeared to encourage and decide the PACHA and his troops to make a vigorous resistance. The enemy’s advanced Guard was discovered at the foot of Mount Camel, in the night of the 17th, by the Tigre’s guard boats; these troops, not expecting to find a naval force of any description in Syria, took up their ground close to the water side, and were consequently exposed to the fire of grape shot from the boats, which put them to the rout the instant it opened upon them, and obliged them to retire precipitately up the side of the Mount. The main body of the army, finding the road between the sea and Mount Camel thus exposed, came in by that of Nazareth, and invested the town of Acre to the East, but not without being much harassed by the Samaritan Arabs, who are even more inimical to the French than the Egyptians, and better armed. As the enemy returned our fire by musketry only, it was evident they had not brought cannon with them, which were, therefore, to be expected by sea, and measures were taken accordingly for intercepting them; the Theseus was already detached off Jaffa. The enemy’s flotilla, which came in from sea, fell in with and captured the Torride, and was coming round Mount Camel, when it was discovered from the Tigre, consisting of a corvette and nine sail of gun vessels; on seeing us they hauled off. 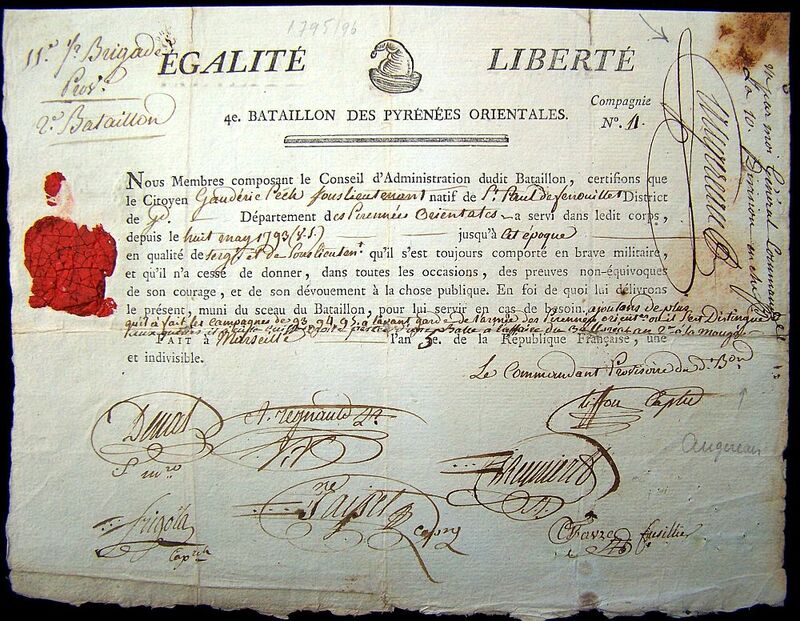 The alacrity of the ship’s company in making sail after them was praiseworthy; our guns soon reached them, and seven, as per enclosed list, struck; the corvette, containing BUONAPARTE’S private property, and two small vessels escaped, since it became an object to secure the prizes without chasing further. Their cargoes consisted of the battering train of artillery, ammunition, platforms, &c, destined for the siege of Acre, being much wanted for its defence. The prizes were accordingly anchored off the town, manned from the ships, and immediately employed in harassing the enemy’s ports, impeding his approaches, and covering the ship’s boats sent further in shore to cut off his supplies of provisions conveyed coastwise. They have been constantly occupied in these services for these five days and nights past; and such has been the zeal of their crews, that they requested not to be relieved, after many hours excessive labour at their guns and oars. I am sorry to say that we have met with some loss, as per enclosed list, which, however, is balanced by greater on the part of the enemy, by the encouragement given to the Turkish troops from our example, and by the time that is gained for the arrival of a sufficient force to render BUONPARTE’S whole project abortive. I have had reason to be perfectly satisfied with the gallantry and perseverance of Lieutenants BUSHBY, ENGELFIELD, KNIGHT, STOKES, and Lieutenant BURTON, of the Marines, and of the petty officers and men under their orders. 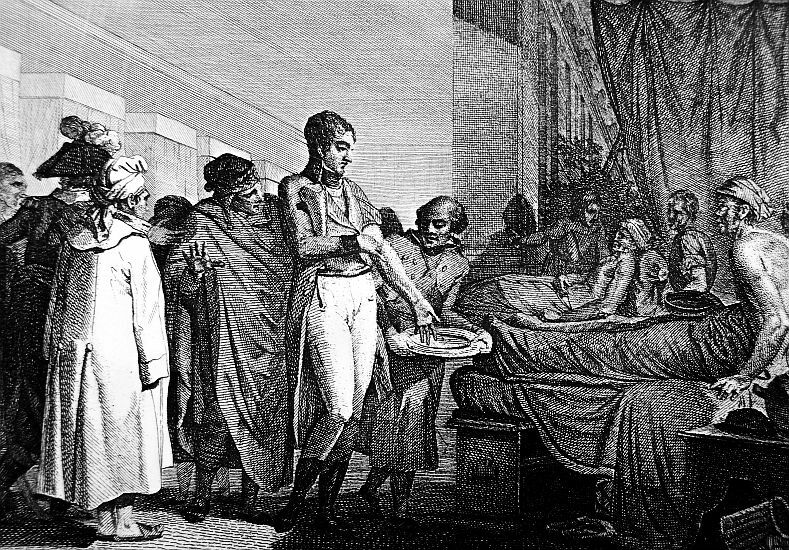 I have the honour to be, &c.
On my arrival in Egypt I witnessed the success of all my plans and my expectations. I also entertained the design of accomplishing all the projects which we had formed at Paris in our secret conferences, of raising the glory and the estimation of the Republic to their height, and of enjoying the happiness of seeing all our wishes fulfilled. But who could anticipate the fatal action of Aboukir, or foresee the total destruction of our maritime power? The stations of the Ottoman and English squadrons off these coasts, prevent any vessel from passing without being examined, and this vigilance of our enemies deprives me of every means of sending you intelligence or receiving any from you, and daily confirms me in the despair of finding out a proper communication, in order to acquaint you with my real situation. You know the number of troops which I brought with me to Egypte. It is with the deepest concern I must inform you that it is considerably reduced, and that I have experienced the most affecting losses. The engagements which I had to sustain in my march from Alexandria to Cairo against the different hordes of Arabs; the various battles which I have had with MURAT BEY; the difference of the climate, and the quality of water, to which our troops have not been able to accustom themselves; the infinite difficulties and fatigues which we have suffered in passing the Desarts; the want of customary fire wood which obliged us to mix with it a kind of rubbish to enable us to cook our provisions; the infectious exhalations arising from filthy streets, where dust of a very fine kind, driven by the slightest wind into our eyes, render a great part of our army blind, and deprive it of all activity; and finally, the plague, which prevails at Cairo and Alexandria, making a prodigious ravage in the environs of those cities among our soldiers who are not seasoned against its attacks, are the several motives which have reduced this fine army to nearly one-third of what is was. I am also obliged to distribute the number of troops remaining between the different post of Cairo, the adjacent country, and the coasts I find it necessary to guard; and it follows from this division of my force, that I am weak in every point. I had at first succeeded in drawing over to my side a prodigious number of the natives of the country; but their Chiefs, who seemed only to yield to the force of our arms, resumed the offensive when they perceived they could do it with impunity, and became each of them a separate enemy whom we have had to oppose, while the lower classes we had subdued; being naturally plunderers, took advantage of our weakness to exercise their piracy, and fled from us with as much of our provisions and ammunition as they were able to carry off. The even drove away, in several places, our camels with the baggage of the army. We expected support from these people, who have left our troops in want of all kinds of provision, so that the different bodies of our army, weakened as it is by the causes I have enumerated, are constantly harassed by those we first brought over to our side, and who have since deserted us, finding we were not formidable enough to keep them in awe. They now join the other natives, march in bands, intercept all the passes, and cut off the communications and convoys of the different corps of the army. In such painful extremities, Generals have commonly no resource but in the strength and courage of their troops; and until the present moment I have had every reason to gratify my feelings with proofs of the valour, attachment, and subordination of the troops under my command. But since the misfortunes with which we are oppressed, and particularly since my army has been informed that a Turkish army of a considerable force is in full march to these countries, it has begun to murmur, has no longer dissembled its discontent, and has even manifested open demonstrations of disobedience and insubordination. Since then my courage has abandoned me, my despair has been extreme and, seeing no safety but in the evacuation of Egypt, I collected a body of my soldiers who, like myself, were desperate, and, with the hope of finding some vessels on the coast on board of which we might return to our country, I advanced to attack Ariseh, Gaza, and Joppa; and I even approached the town of Acre. But GHEZZAR PACHA, who commands in the latter place, and the English squadron, anchored in the road, have placed my corps between two fires. I have to engage a considerable army, and I lose everyday a considerable number of men. Neither do I see any means of extricating myself on the other side of the coast, as we are in the middle of desarts, almost without any defence, at the mercy of the Bedouin Arabs. It would have been very fortunate for me to have returned to Egypt, but our retreat was cut off by a certain GERRAR OGLOU, of Naplons, who is at the head of 20,000 Arabs, and is an active leader. The Chiefs of the Druses had dispatched a letter to me, a short time before my departure from Cairo, and had engaged me to advance to Ariseh, by assuring me that they would come to meet me with an army of from 80 to 100,000 men. GHEZZAR PACHA having, however, discovered the subject of the letter, took their children and relations as hostages, and confined them in the castle. Thus, instead of being serviceable to us, they harass us day and night, and kill many of our soldiers. I sent a person to enquire into the motives of their conduct, and their answer was, That they were no longer masters of their own actions, that GHEZZAR PACHA had seized their wives and children as hostages, and had pointed out the manner in which they were to behave. They were, therefore, compelled to follow his orders, as he had threatened to put the hostages to death should they violate his directions; and were forced, by the measures he had adopted, to prove their obedience and fidelity. In this critical situation I formed a mine, applied scaling-ladders to the walls of the town of Acre, and resolved to storm the place. I sprung the mine, but it had a contrary effect, and 3,000 of our gallant troops were blown up. The moment the besieged perceived our disaster, they took advantage of it to make a sally, and our troops being unable to sustain the shock, fell back, and above 4,000 of them were killed, or taken prisoners. We also lost some General Officers. Such is the sad situation in which I am placed, and I have scarcely resolution to inform you of it. it strike up the instant our men have got into the breach. From The London Gazette, Sept. 10. A letter from Captain Sir SIDNEY SMITH, of his Majesty’s Ship Tigre, to EVAN NEPEAN Esq. 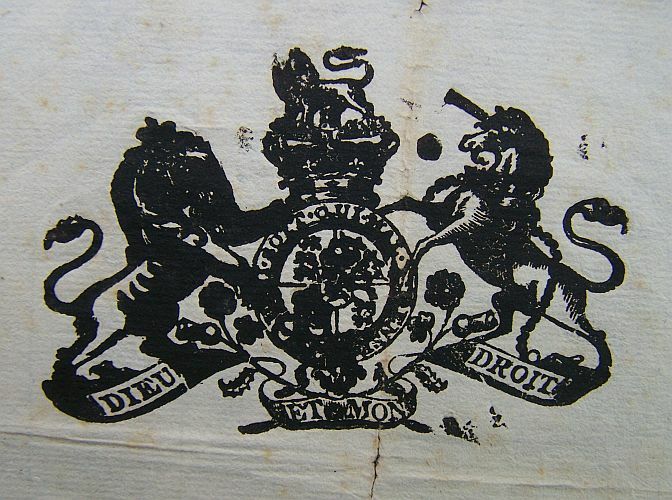 Secretary to the Admiralty, with its enclosures, of which the following are copies, were yesterday received at this office: Copy of a letter from Captain Sir Wm. SIDNEY SMITH, to EVANS NEPEAN, Esq. On board the Tigre, off Mount Lebanon, June 16. 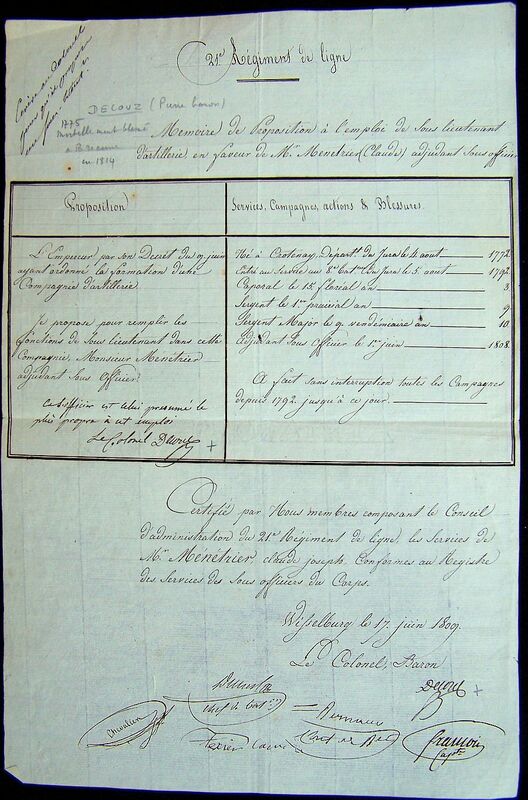 Sir MORTON EDEN has forwarded a duplicate of your letter of the 4th May, informing me of the sailing of the French Fleet from Breit. I take for granted this fleet is bound fore these seas to support BUONAPARTE’S operations, not knowing that his expedition to Syria has completely failed, as the enclosed dispatches will inform their Lordships. I had the honor to inform your Lordship by my letter of the 2d instint, that we were busily employed completing two ravelins for the reception of cannon to flank the enemy’s nearest approaches, distant only 10 yards from them. They were attacked that very night, and almost every night since, but the enemy have each time been repulsed with very considerable loss. The enemy continued to batter in breach with progressive success, and have 9 several times attempted to storm, but have as often been beaten back with immense slaughter. Our best mode of defence has been frequent sorties to keep them on the defensive, and impede the progress of their covering works. We have thus been in one continued battle ever since the beginning of the siege, interrupted only at short intervals by the excessive fatigue of every individual on both sides. We have been long anxiously looking for a reinforcement, without which we could not expect to be able to keep the place so long as we have. The delay in its arrival being occasioned by HASSAN BEY’S having originally received orders to join me in Egypt, I obliged to be very peremptory in the repetition of my orders for him to join me here: it was not, however, till the evening of the day before yesterday, the 51st day of the siege, that his fleet of corvettes and transports made its appearance. The approach of this additional strength was the signal to BUONAPARTE for a most vigorous and persevering assault, in hopes to get possession of the town before the reinforcement to the garrison could disembark. The constant fire of the besiegers was suddenly increased tenfold, our flanking fire from afloat was, as usual, plied to the utmost, but with less effect than heretofore, as the enemy has thrown up epaulments and traverses of sufficient thickness to protect him from it. The guns that could be worked to the greatest advantage were a French brass 18 pounder in the Light House Castle, manned from the Theseus, under the direction of Mr. SCRODER, Master’s Mate, and the last mounted 24 pounder in the North Ravelin, manned from the Tigre, under the direction of Mr. JONES, Midshipman. These guns being within grape distance of the head of the attacking column, added to the Turkish musquetry, did great execution; and I take this opportunity of recommending these two Petty Officers, whose indefatigable vigilance and zeal merit my warmest praise. The Tigre’s two 68 pound carronades, mounted in two germes lying in the mole, and worked under the direction of Mr. BRAY, Carpenter of the Tigre,(one of the bravest and most intelligent men I ever served with) threw shells into the centre of this column with evident effect, and checked it considerably. Still, however, the enemy gained ground, and made a lodgement in the second story of the north east tower; the upper part being entirely battered down, and the ruins in the ditch, forming the ascent by which they mounted. Daylight shewed us the French standard on the outer angle of the tower. The fire of the besieged was much slackened, in comparison to that of the besiegers, and our flanking fire was become of less effect, the enemy having covered themselves in this lodgement and the approach to it by two traverses across the ditch, which they had constructed under their fire that had been opposed to them during the whole night, and which were now seen, composed of sand bags and the bodies of their dead built in with them, their bayonets only being visible above them. HASSAN BEY’S troops were in the boats, though as yet but half way on shore. This was a most critical point of the contest, and an effort was necessary to preserve the place for a short time till their arrival. I accordingly landed the boats at the Mole, and took the crews up to the beach armed with pikes. The enthusiastic gratitude of the Turks, men, women, and children, at sight if such a reinforcement, at such a time, is not to be described. Many fugitives returned with us to the breach, which we found defended by a few brave Turks, whose most destructive missile weapons were heavy stones, which, striking the assailants on the head, overthrew the foremost down the slope, and impeded the progress of the rest. A succession, however, ascended to the assault, the heap of the ruins between the two parties serving as a breast work for both, the muzzles of their musquets touching and the spear heads of the standards locked. 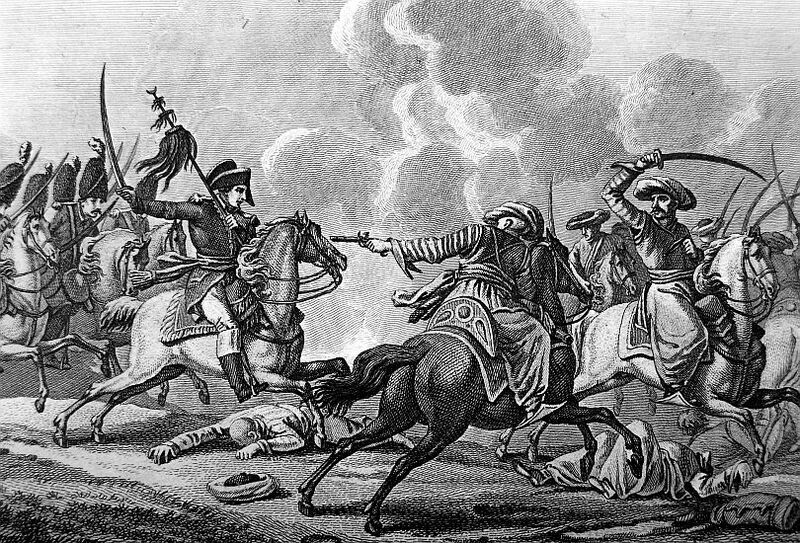 GEZZAR PACHA hearing that the English were on the breach, quitted his station, where, according to the ancient Turkish custom, he was sitting to reward such as should bring him the heads of the enemy, and distribute musquet cartridges with his own hands. The energetic old man coming behind us, pulled us down with violence, saying, if any harm happened to his English friends all was lost. This amicable contest as to whom should defend the breach, occasioned a rush of Turks to the spot, and thus time was gained for the arrival of the first body of HASSAN BEY’S troops. I had now to combat the Pasha’s repugnance to admiring any troops but his Albanians into the garden of his seraglio, become a very important post, as occupying the Terrepien of the rampart. There was not above 800 of the original 1000 Albanians left alive. This was no time for debate, and I over ruled his objections by introducing the Chifflick regiment of 1000 men, armed with bayonets, disciplined after the European method, under Sultan SELIM’S own eye, and placed by his Imperial Majesty’s express commands at my disposal. The garrison, animated by the appearance of such a reinforcement, was now all on foot, and there being consequently enough to defend the breach, I proposed to the PACHA to get rid of the object of his jealousy, by opening his gates to let them make a sally and take the assailants in flank: he readily complied, and I gave direction to the colonel to get possession of the enemy’s third parallel or nearest trench, and there fortify himself by shifting the parapet outwards. This order being clearly understood, the gates were opened, and the Turks rushed out, but they were not equal to such a movement, and were driven back to the town with loss. Mr. BRAY, however, as usual, protected the town gate efficaciously with grape from the 68 pounders. The sortie had this good effect, that it obliged the enemy to expose themselves above their parapets, so that our flanking fire brought down numbers of them, and drew their force from the breach, so that the small number remaining on the lodgement were killed or dispersed by our few remaining hand grenades thrown by Mr. SAVAGE, Midshipman of the Theseus. The enemy began a new breach by an incessant fire directed to the Southward of the lodgement, every shot knocking down whole sheets of a wall much less solid than that of the tower on which they had expended so much time and ammunition. The group of Generals and Aide-de-Camp which the shells from the 68 pounders had frequently dispersed, was now reassembled on Richard Coeur de Lion’s Mount. BUONAPARTE was distinguishable in the centre of the semicircle; his gesticulations indicated a renewal of attack, and his dispatching an Aide-de-Camp to the camp, shewed that he waited only for a reinforcement. I gave directions for HASSAN BEY’S ships to take their station in the shoal water to the Southward, and made the Tigre’s signal to weigh, and join the Theseus to the Northward. A little before sunset, a massive column appeared advancing to the breach with a solemn step. The PACHA’S idea was not to defend the brink this time, but rather to let a certain number of the enemy in, and then close with them, according to the Turkish mode of war. 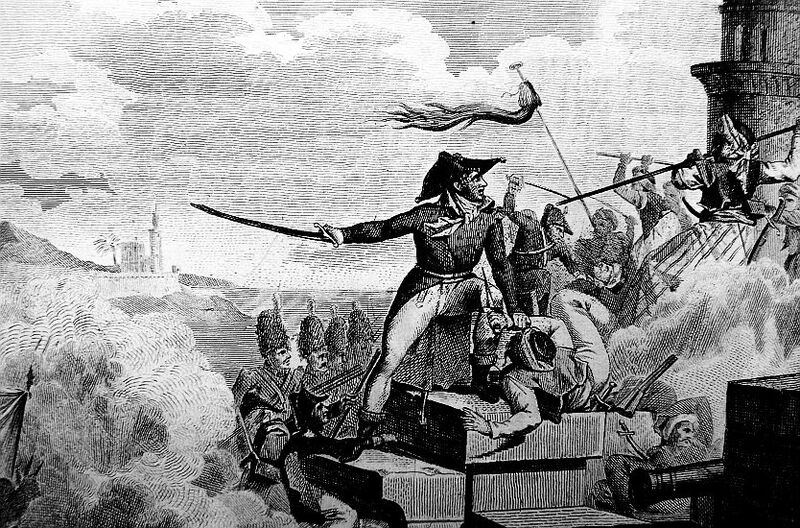 The column thus mounted the breach unmolested, and descended from the rampart into the PACHA’S garden, where in a very few minutes, the bravest and most advanced among them lay headless corpses, the sabre, with the addition of a dagger in the other hand, proving more than a match for the bayonet; the rest retreated precipitately; and the Commanding officer, who was seen manfully encouraging his men to mount the breach, and who we have since learnt to be General LANNES, was carried off, wounded by musket shot. 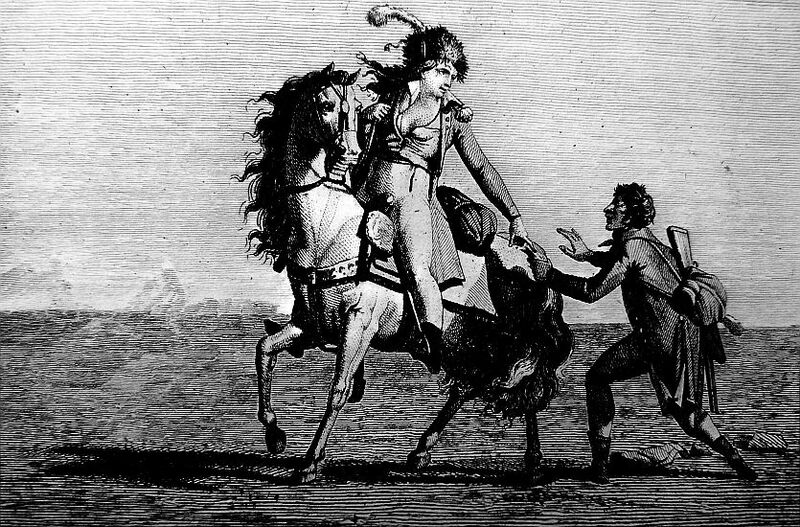 General ROMBAUD was killed. Much confusion arose in the town from the actual entry of the enemy, it having been impossible, nay impolitic, to give previous information to every body of the mode of defence adopted, lest the enemy should come to a knowledge of it by means of their numerous emissaries. The English uniform, which had hitherto served as a rallying point for the old garrison wherever it appeared, was now in the dusk mistaken for French, the newly arrived Turks not distinguishing between one hat and another in the crowd, and thus many a severe blow of a sabre was parried by our officers, among which Colonel DOUGLAS, Mr. IVES, and Mr. JONES, had nearly lost their lives, as they were forcing their way through a torrent of fugitives. 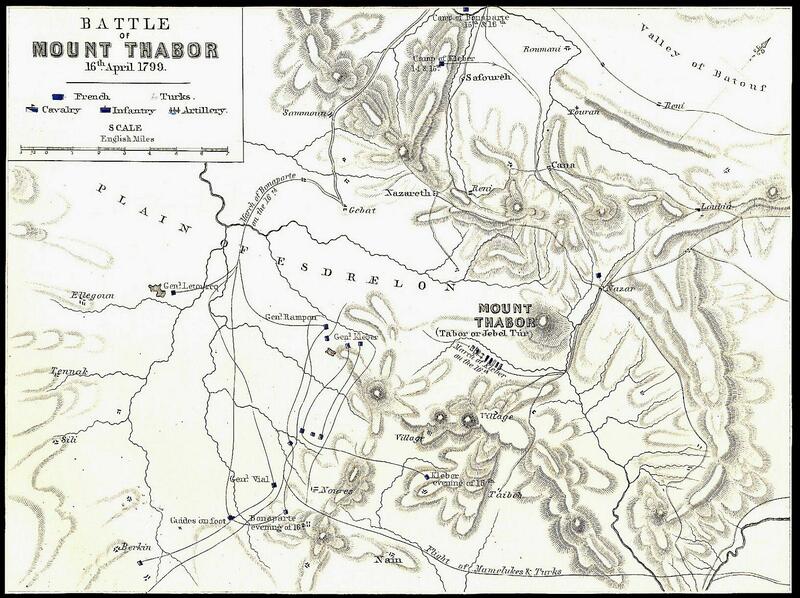 Calm was restored by the PACHA’S exertions, aided by Mr. TROTTE, just arrived with HASSAN BEY, and thus the contest of 25 hours ended, both parties being so fatigued as to be unable to move. BUONAPARTE will, no doubt, renew the attack, the breach being, as above described, perfectly practicable for 50 men abreast; indeed the town is not, nor ever has been defensible to every other rule it must and shall be defended, but we feel that it is in itself worth defending, but we feel that it is by this breach BUONAPARTE means to march to farther conquests. This on the issue of this conflict that depends the opinion of the multitude of spectators on the surrounding hills, who wait only to see how it ends to join the victor, and with such a reinforcement for the execution of his known projects, Constantinople and even Vienna must feel the shock. 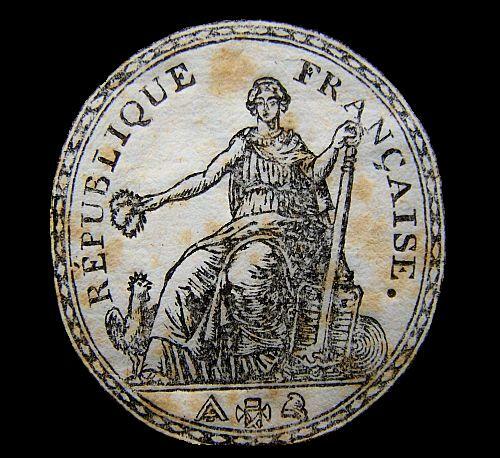 Be assured, my Lord, the magnitude of our obligations does but increases the energy of our efforts in the attempt to discharge our duty; and though we may, and probably shall be over powered, I can venture to say that the French army will be so much farther weakened before it prevails, as to be little able to profit by its dear bought victory. I have the honor to be, &c.
The siege was abandoned by Bonaparte on the 11th of May, with a cost of 1200 French dead and thousand wounded. 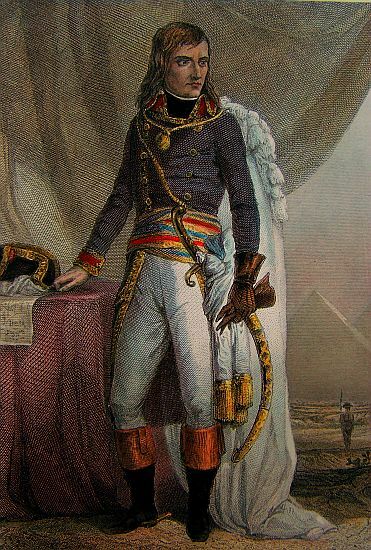 Bonaparte had know other option but to return to Cairo, for he had received word that the British were planning to land in Egypt.